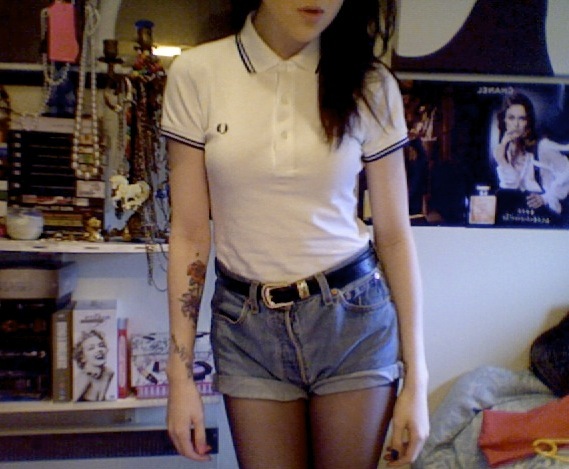 I wore my Fred Perry polo shirt (I bought it yearrrrrs ago), with my vintage Levi shorts and Penneys (Primark) belt. I've worn outfits similar to this before, but thought I'd whip out some of my Summer gear anyways to convince myself the dreadful weather will come to an end soon. I wore quite a soft smokey eye, with a light grey (Pistol - NAKED2 palette) on the lid and a turquoise shadow (Nightbird - M.A.C) smudged into the lower lashline. The eyes were quite dramatic, so I wore M.A.C's 'Creme Cup' lipstick, to tone it down. 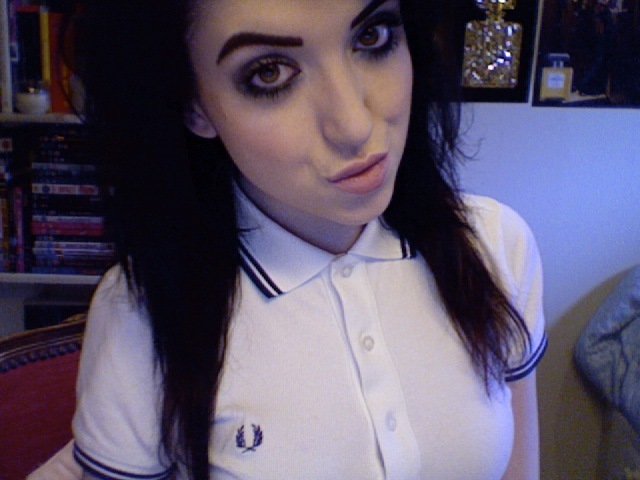 It was a complete waste of makeup however, as I didn't even leave my house. Oh well! 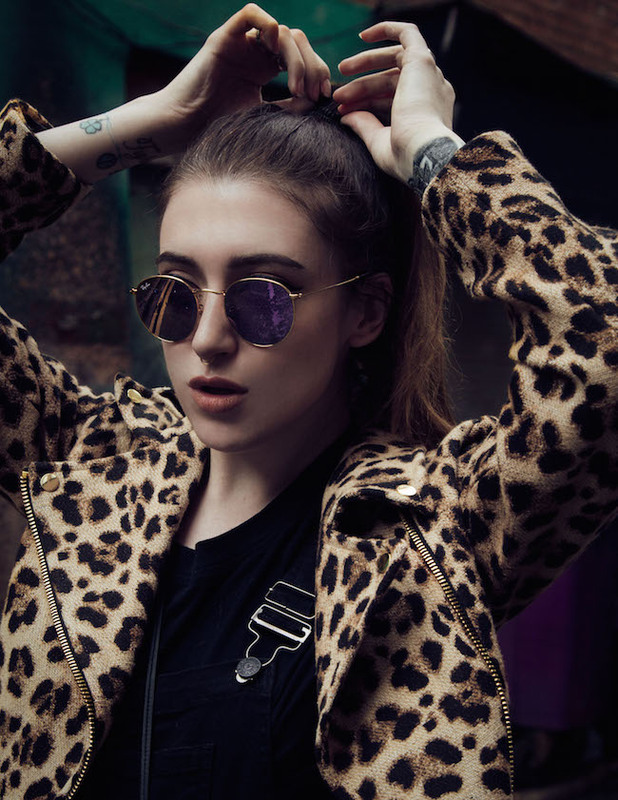 To hype this look on Lookbook, click here!